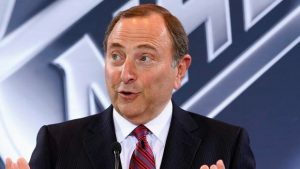 In the recent 2018 State of the League Address, NHL Commissioner Gary Bettman was asked a question by Helene Elliott of the Los Angeles Times referencing past comments about the link between concussions and the neurodegenerative disease, Chronic Traumatic Encephalopathy (CTE). Bettman, flustered by a question that caused him visible annoyance, managed to practically “plead the fifth,” and not really give an answer. Deputy Commissioner Bill Daly managed to do the same. This display considered, one thing is clear: the NHL is purposefully ignorant about the health of its players. Here’s a look at just how bad it gets. Bettman and Daly may have been partially right about one of the pieces of their given answer, and that’s that there’s no new information on the subject– quite the opposite. Most science linking concussions and CTE has been around for decades, even longer. For some time now, the National Hockey League has been part of an ongoing lawsuit with former players and their lawyers regarding mismanagement, ignorance, and withheld information surrounding concussions, head trauma, and CTE. While successfully managing to sweep its problems under the rug for the most part, the league can’t seem to shake off some of the stragglers still prying into what they really know and just how poorly it takes care of its players. Among those leading the charge of pressuring the league to reveal all its truths is TSN Senior Correspondent Rick Westhead. 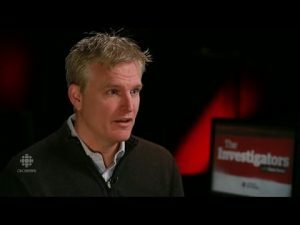 Westhead has been documenting a series on TSN covering all facets of the more than five-year-old lawsuit, and has sat down with a multitude of powerful figures in hockey. In sitting down with Boston Bruins owner Jeremy Jacobs, Westhead hit the tip of the iceberg as far as learning that NHL team owners know nothing about the science behind head trauma. Jacobs claims to have never been informed about any link between concussions and CTE. Several notable officials have claimed the same thing, including Commissioner Bettman, Washington Capitals owner Ted Leonsis, and current President of the New York Rangers organization, Glen Sather. What’s more is that it may go further than naive ignorance– it may be a case of gross negligence. Rangers President Sather said on the record that he often didn’t obey concussion protocol when it came to his minor league players, because the players weren’t usually in his system long enough for it to matter. Sather isn’t the only one who knowingly ignored concussion protocol, either. Westhead has reported stories about organizations who changed the wording of the league’s concussion awareness posters that they were required to put up in their locker rooms. It’s things like this that convey there being something more to the story than fans are getting from the top league officials. It is not only ignorant for the top officials and the richest owners in the NHL to claim there is no link between concussions and CTE, it is simply an inadequate answer to their problems. Science has proven the link, and it has done so to the misfortune of players taking their own lives and donating their brains to science, knowing something wasn’t right inside their skulls. Research has shown that sometimes it doesn’t even take a concussion; there have been early signs of CTE displayed in mice after just a single hit to the head, without concussions. This means that sub-concussive injuries can cause the same damage. To further that argument, 80% of cases of CTE in individuals have been linked to prior concussions and head trauma. Furthermore, concussions have been linked with other neurodegenerative diseases, like migraines, depression, dementia, Alzheimer’s, and ALS, to name a few. The reason the NHL is probably so far behind on this particular issue is money. They don’t want to have to shell out near to a billion dollars like the NFL did to settle their own lawsuits. And, quite frankly, they can’t afford to. But, they are going to have to appease disenfranchised ex-players and their families, as well as fans across North America in some fashion. Monetary compensation is probably a good starting point, but they are also going to have to look closely at how the game is currently played and how they could eliminate unnecessary risks to the players on a day-to-day basis. This is an issue the NHL can no longer run from, and will have to face in the near future.